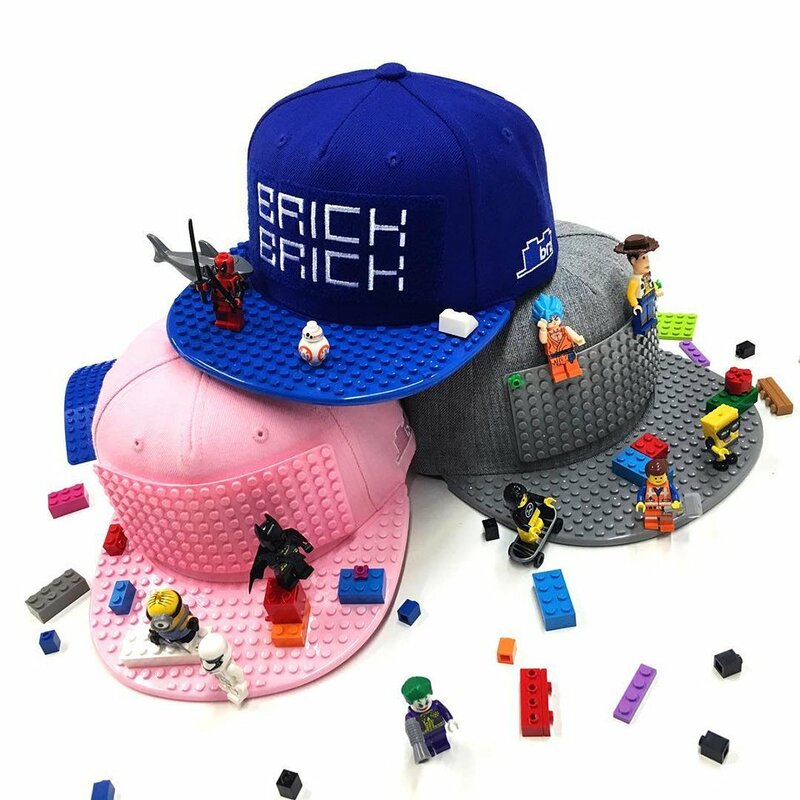 Brick Brick Gear’s snapback cap has removable front plates and brims that are compatible with LEGO and other interlocking brick toys. The caps and parts come in different colors, with more plates and brims sold separately. Available in adult and youth sizes.